In addition to the HUGE Southwestern, Santa Fe sale on One Kings Lane tomorrow, I am having an earring sale in my Etsy shop. Every pair of earrings will be marked down, even the ones that I have not listed yet! It will go until midnight on St. Patrick's Day. 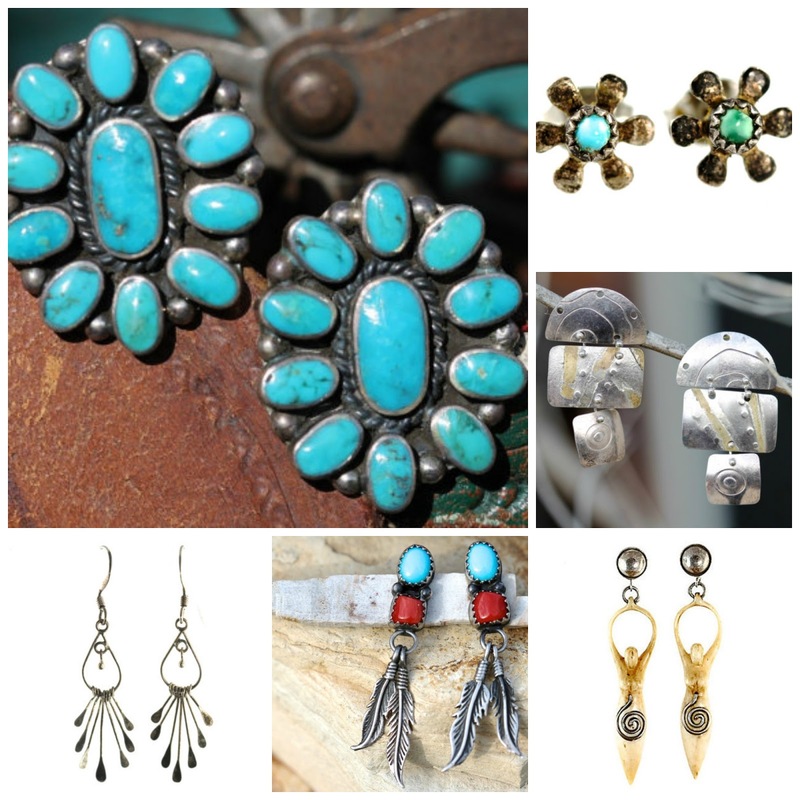 You'll have to keep coming back to check on what great vintage earrings were newly listed, on sale!